1 X NEW 50. CAL AMMO TIN. Green tin. Strong snap shut fastening and stackable. Carry handle and removable hinged lid with rubber waterproof seal. These British Army ammunition boxes are genuine military surplus and as well as storing ammo they are ideal for tools and anything else you want to keep secure. The hinged lid is secured with a folding clasp closure on the front and a strong carry handle on top lets you easily transport the box. 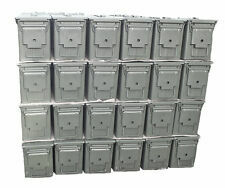 These Genuine heavy duty Ammo Boxes provide excellent storage solutions. They are known as 40 mm and Low 50 cal boxes as boxes of this type and size were originally used to hold a variety of ordnance including 40 mm and 50 cal. 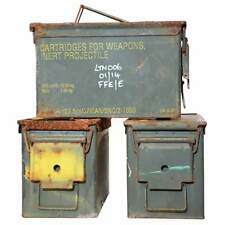 These Genuine heavy duty Ammo Boxes provide excellent storage solutions. NEW Army/Military Issue 50Cal Ammo/Tool Box. (LIGHT OUTER STORAGE / TRANSPORT MARKS POSSIBLE). 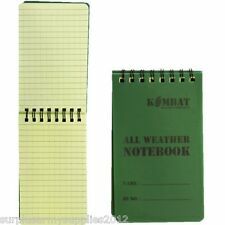 GENUINE NATO / BRITISH MILITARY SURPLUS ITEM. HINGED LID WITH RUBBER SEAL. CARRY HANDLES. PRODUCT INFORMATION. Good used condition, they may have traces of grease which would wash off with warm soapy water. The leather and paint finish varies but are similar to that shown in the images provided. We have been trading in Military Surplus, Collectables and Land Rover Spares for over 22 years and currently have a 6000 sq. ft. warehouse based in West Sussex. 1 X USED 50. CAL AMMO TIN. Signs of use, outer markings & writing is possible. Miscellaneous colours available (green/ olive/ brown), colour will be chosen at random depending on availability. Compact Wash Kit – BTP. Zip closure pouch which contains toothbrush, toothpaste, body wash, shaving cream, razor and removable shaving mirror. Brown British 81mm Mortar Box Empty Box. 10, BRITISH ARMY ISSUE WATERPROOF/WINDPROOF XL HEAD MATCHES.CAMPING,BUSHCRAFT. This is theKevlar filler for the British Army MK2 Body Armour Vest. The Kevlar Filler is known as "soft filler". All in good used condition. Full colour cards 12cm by 9cm, these are pre cut to fit the MTP pouch and ready to use. The Multicam/MTP Pouch. Padded Main Pocket With Lining. Made From 1000 Denier Waterproof Cordura As Military Issue. British Army Issue. Press stud poppers on sides. Lightweight: approx. 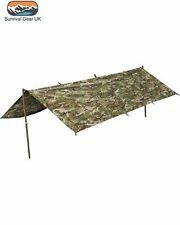 Multi function uses - can be used as sheet shelter, stretcher etc. This is one of the best solutions to creating a Field Basha arguably better than a 58 Poncho. It is also lightweight, foldable and rapidly dries. The item is a 9 ft x 13.5ft Parachute Panel which is compact and light made of a nylon like material. Storage Case. Cleaning Cloth. Yellow High-Contrast Lens. Colour: MTP. 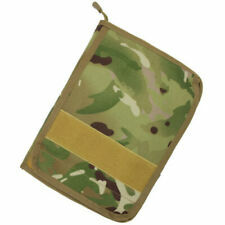 British Army roll mat sack has been produced by our MOD approved supplier here in the UK. 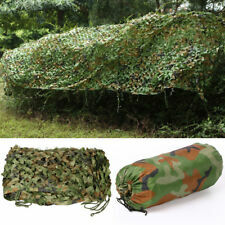 It is made from waterproof nylon and takes the British Army issue foam sleeping mat. Takes Army Issue Sleeping Mat. This is the latest issue pouch designed to carry the Personal Role Radio, the standard communications system of all infantry soldiers in the field. Large press stud and elasticated top strap holds the main radio securely in its pouch. Genuine Issue Commanders / Admin Panel in MTP Molle Used in conjuction with the Osprey Body Armour. Thanks to the Molle straps on the back it can be used on most molle platforms. Large Velcro area for unit / morale patches etc. 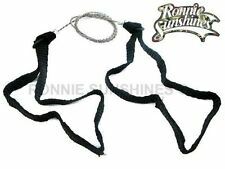 Stock picture, one supplied will vary in colour and camouflage slightly Small pouch that can hold a spare pistol mag,multi too or torch. Behind are two pockets to hold pens, notebooks, compasses, slate cards etc with elastic loops at the top Used but in very good condition. Highly sought after and not many about the place. Capacity to hold maximum of six standard rifle magazines, but no internal dividers so can hold smoke grenades, ammo pouch flasks etc instead! This policy is non-negotiable. Genuine British Military issue Cleaning Kit for Individual Hydration Systems (IHS). Complete with correct issue zip pouch in light olive for MTP nylon. Kit comprises; case, flexible wire mounted nylon brush and fabric case. A Pocket Sized Sewing Kit from Web-tex Military Products. WEB-TEX MULTICAM SEWING KIT. 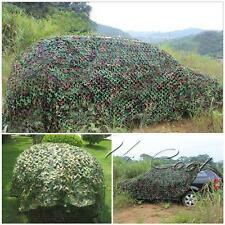 Colour - Multicam Camo. Lightweight & Compact. Kit Contents. Goodbye Cats eyes hello Lumineyes! Next generation of soldier marking system. They're brighter, easier to attach, glow longer than cats eyes and they won't get caught in the trees! 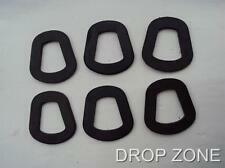 You can configure them how you want and attach them to your helmet, daysack, camelbak or bergen, its up to you. Must be attached to pre-fitted hook and loop patch. Each pack contains 2 x Lumineyes (2 x luminscent discs 13mm). 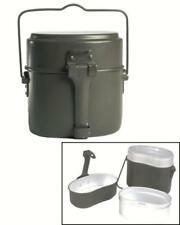 ALUMINIUM PAN WITH HANDLE-PLASTIC FLASK-LARGE FOOD BOWL. CAMPING - FISHING - HIKING. CLASSIC COMPACT DESIGN PERFECT FOR WHEN YOUR OUT ON THE GO (see photos). SMALL CUP/BOWL-CUTLERYWith tools. Colour: British Army DPM Camo. Web-tex High Strength Sniper Tape - Camo. Size: 50mm Width x 10m Length. Another Excellent product from Web-tex. 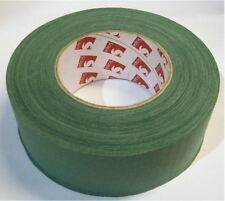 This Super Strong Camo Tape is ideal for Camouflaging Kit & Guns, Doing Repairs and Lashing things Together etc. 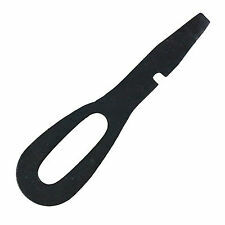 British Army Style Tin Can Openers. Size: 5.3 x 1.6cm (approx.). GENUINE BRITISH ISSUE MTP 3 LITRE MTP CAMELBAK. SUPER GRADE. Vintage Gunsmiths Trigger Pull ,Shenstone "Resilient " Balance Spring Gauge.